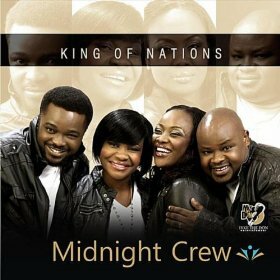 The Relentless Builder: OFFICIAL VIDEOS: Midnight Crew | "I Know You" and "Extra Praise"
OFFICIAL VIDEOS: Midnight Crew | "I Know You" and "Extra Praise"
Midnight Crew, one of Nigeria's most popular gospel music groups, released two music videos in December 2012. Both videos are for songs off their King of Nations album. Naturally, I wanted the music videos of all my favorite songs to be released. But, I guess 1 out of 4 isn't bad. Plus I discovered that Mbene had already been released years ago, and actually has its own official video on YouTube. That video is old though. Finally, the much-touted videos. Enjoy! Aloted: I'm glad you liked them.